Tennis is a physically demanding sport that can put extensive pressure on the knees. Many players rely on knee braces to help reduce the stain on the knees and maximize performance on the court. Of course, some sports braces are better than others, so you should compare features to find a brace that will work best for you. The best knee brace for tennis is constructed from a supportive, yet comfortable material. It should feature a good balance of mobility and stability while keeping the brace compressed firmly against the knee. Knee braces are often used as a preventative measure, as well as to relieve pain from knee ligament and patella injuries. Whether you’re new to tennis or have mastered the sport, a knee brace is an excellent way to provide ongoing support to the delicate joints and tendons in the knees. Not sure where to start? 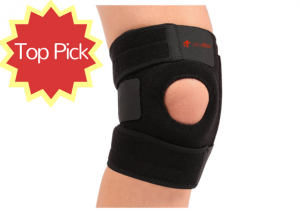 Here’s a look at some features you should look for in a knee brace. Comfortable Size: While most knee braces are made from fabrics with elasticity, some may run smaller than others. You want to choose a size that is firm but not too tight. Moisture Wicking: When playing any sport, sweating is a common occurrence. Prevent friction and moisture buildup between the skin and brace by choosing a product with moisture-wicking capabilities. Medium Cost: When it comes to knee braces, cost can range from just a couple of dollars to three digit numbers. You don’t want to cheapest but you also don’t need the most expensive. Shoot for somewhere in the middle. High Protection: One of the most important features of a knee brace is its level of protection. High protection braces are generally hinged braces, while low protection knee supports feature stretchy materials like elastic or neoprene. If you play tennis, it’s likely that you’ll need a knee brace at some time or another. If you’re looking for a high-quality brace, the Ultra Flex Athletics knee brace is an excellent option. The one-size, adjustable brace features an open patella design to reduce the pressure on the knee while providing optimal compression to the muscles. The versatile brace fits most with a 22 inch above knee circumference. Velcro fasteners provide an adjustable and firm fit. The knee brace also features silicone strips designed to warm up the muscles and prevent injury and slipping. Constructed of 80 percent neoprene, the waterproof brace firmly compresses the knee with the help of twin strings. The best knee brace for tennis is one that can be used for all your physical activity. Use the Ultra Flex brace not only for tennis, but also for football, volleyball, basketball, golf, CrossFit, bicycling, soccer, and more. Best of all, with the purchase of your knee brace, you’ll also receive a bonus ankle brace. Brace yourself: This one’s great! Tennis injuries often affect the ankles, knees, calves, and arms. Elastic braces work well to relieve pressure off of the joints and encourage healing. 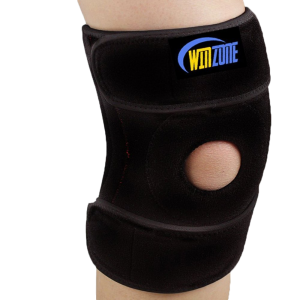 The Knee Brace Support for Arthritis by Winzone offers comfortable compression technology that allows you to continue participating in your favorite sports without pain or instability. While some knee braces are stiff and uncomfortable, Winzone prides itself on offering a super comfortable brace that keeps the knee supported without restricting movement. 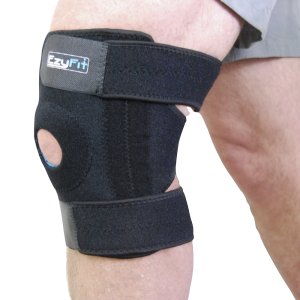 This brace fits knee circumferences ranging from 12.4 inches to 21.7 inches, and comes with a free $10 Money Belt. Fit is key. The best knee brace for tennis is available in several size options to personalize the fit. 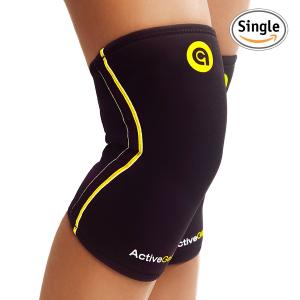 The ActiveGear Knee Brace can be found in sizes ranging from small to extra extra large. It offers excellent knee support for your tennis games, as well as other physical activities like heavy lifting. Also wear it after MCL and ALC surgeries. In addition to offering post-surgical relief, this knee brace is effective at supporting knees that have been sprained, while reducing associated symptoms like pain and swelling. Constructed of stretchable neoprene material, the ActiveGear brace works well to stabilize the knee and leg even through extended periods of wear. The unique contour design offers beneficial compression and warmth, creating a soothing thermal effect that can help warm up the muscles and ward off pain. Foam padding prevents slippage and the eco-friendly, latex-free material is suitable for individuals with certain sensitives. Many avid tennis players depend on knee braces to prevent injuries during every practice and game. The EzyFit Knee Brace Support Dual Stabilizers is a great choice for everyday tennis games, as it offers the perfect balance of comfort and support. It’s also available in three sizes – medium, large, and extra-large – to fit most players. Constructed from an adjustable, breathable neoprene material, the brace features reinforced double stitching, durable Velcro closures, and non-slip silicone strips that secure the knee at the top and bottom to ensure it stays firmly in place throughout the game. The open patella designs promote full movement and flexibility of the joints. With a quality knee brace, you can get back on the tennis court quickly and without discomfort. The Knee Brace Support by Pegasus is specifically designed to rehabilitate your injured or overworked knee, returning movement and eliminating unwanted pain. The brace is also flexible, yet supportive enough to prevent further injuries. What makes this knee brace stand out from its competitors is its unique, high-quality biomechanical support. 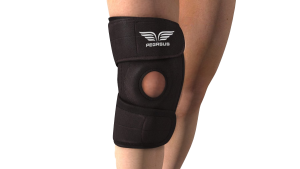 Pegasus uses only the highest grade neoprene that comfortably molds to the knee without undesirable stiffness. Not only is it great for tennis, it can also help with injuries caused by walking, running, ALC, arthritis, and meniscus tears. What makes this the best knee brace for tennis is its adjustable compression. Everyone is different when it comes to comfort levels and leg sizes, and the Knee Brace Support provides a personalized fit. The open patella design helps to protect the ligaments while supporting the surrounding muscle system.